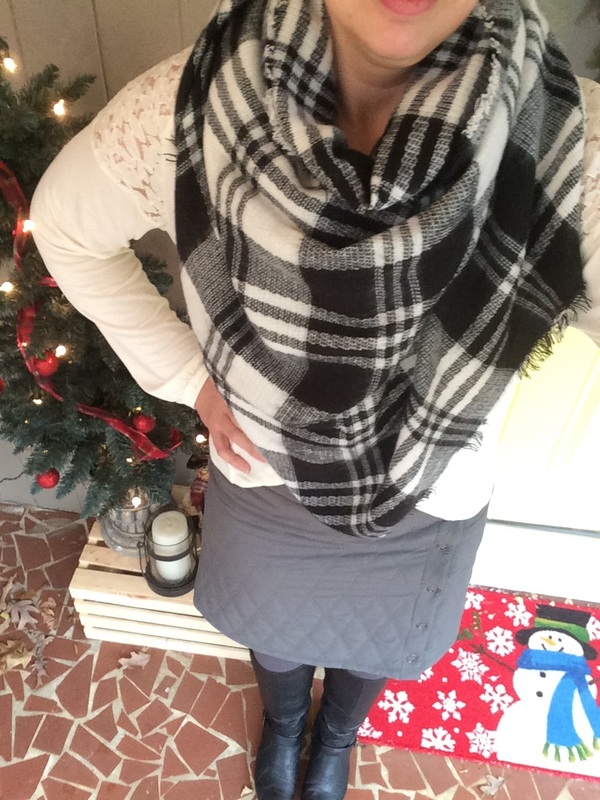 Up until last year, I had not really worn leggings since I was a teenager. I had the misconception that they made me look bigger than I really was and I did not really know how to style them. Leggings were mainly reserved for yoga or lounging around the house. Thanks to the legging craze, I picked up a black pair to wear under some of my longer tunics and I was converted! 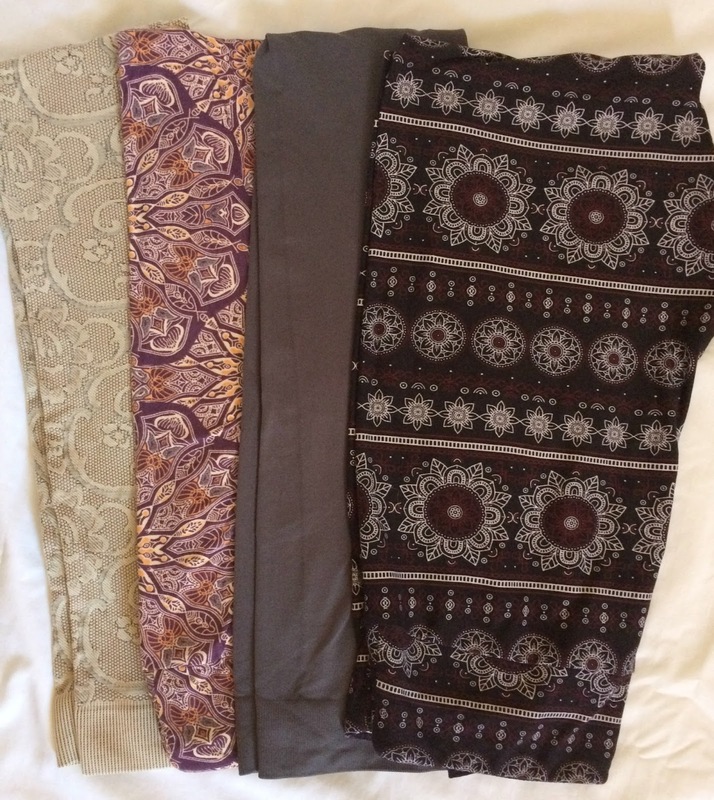 I first started out with solids, (black, navy, brown) but now I own several patterned ones too! My most recent ones are from Simple Addiction, an online boutique. They carry a ton of colors and patterns, all under $10! You can use my code "MARY15" to save an extra 15% on your order! So why do I love my leggings so much? Forgiving waistband - We all have days where we don't feel like squeezing in to our skinny jeans. Leggings allow you to still look put together, while still being comfortable. Multitude of colors and patterns - There is a pair for every personality and style, that will flatter any shape and size. Pairs with any outfit - Leggings look great with tunics, dresses, over-sized sweatshirts, long button up tops, and more! Pair them with a tunic and suede wedges for a comfy, yet chic look. Keep it casual with a button up chambray shirt and camo green utility jacket. 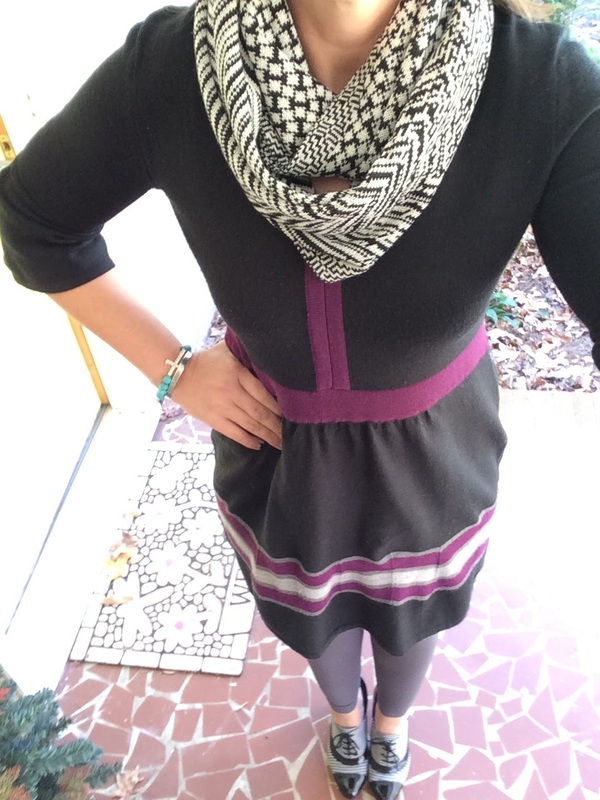 Stay warm this winter by layering them under a sweater dress. My favorite look is to pair them with an over-sized cardigan sweater, t-shirt, and blanket scarf. Wear them with a short skirt and tall boots to keep your legs warm. 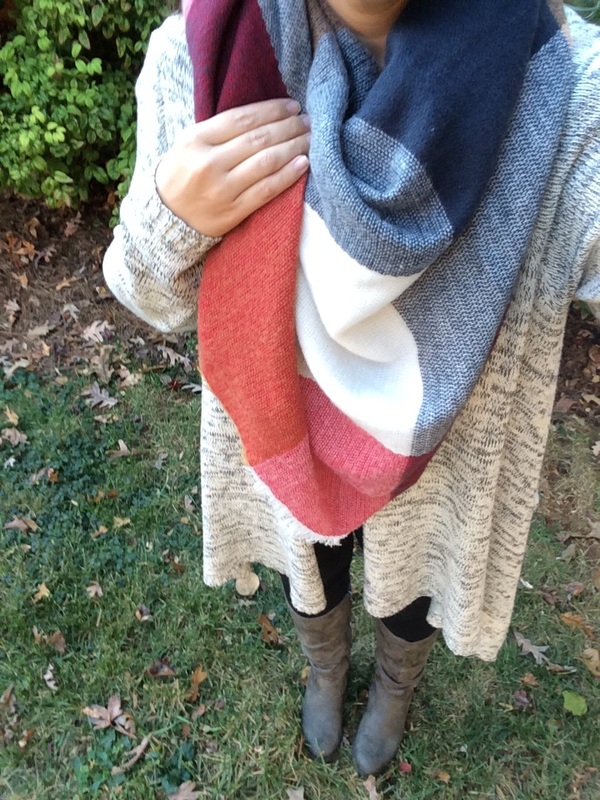 If you liked this post, you may want to check out Styling a Blanket Scarf! 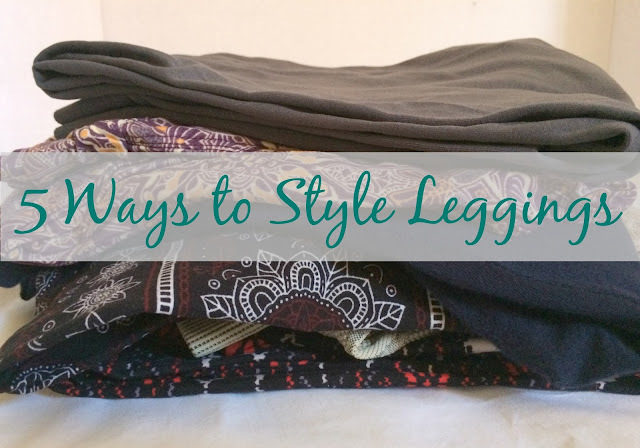 I love how versatile a good pair of leggings is! I need to add some patterned leggings to my closet! These looks are all darling! Jill, you do! I did not realize how much I would like the patterned ones! Some really great looks featuring leggings! I really like the long tunic and tall boots look. 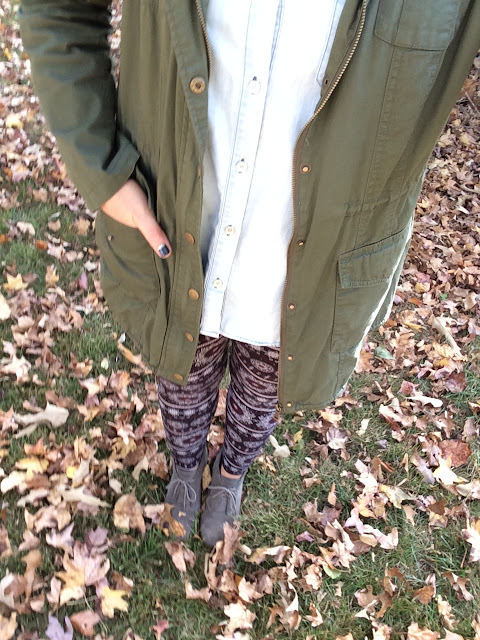 I was hesitant to embrace leggings until last year, too, and now I find myself wearing them all the time. 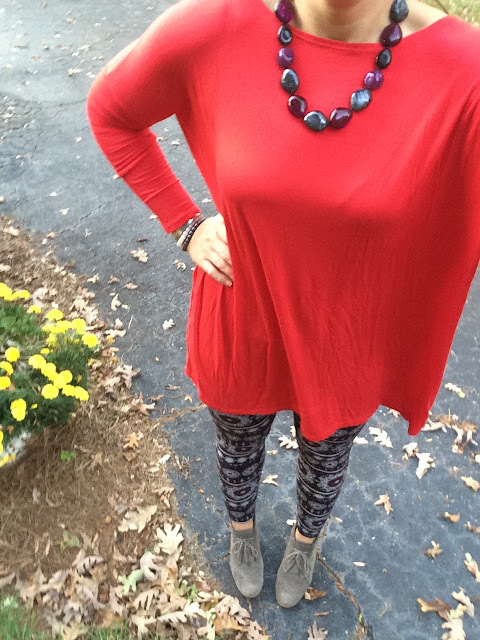 Yes, the tunic and boots is definitely my favorite way to wear them, but I am branching out! I tend to only wear my leggings with boots, but I love the booties and oxfords you wear with them! I do too, but IG has made me more bold with my leggings style.